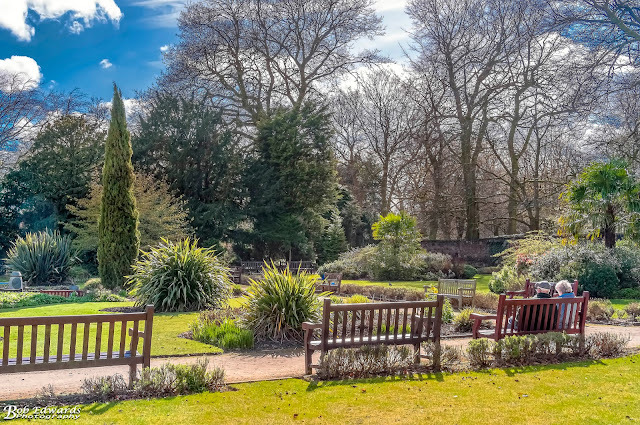 Calderstones Park is situated in the Allerton area of the city and from 1845 until 1954 the stones that gave the park its name were situated in a circular arrangement on a site at the junction of Calderstones Road and Menlove Avenue. It is believed that the stones belonged to a burial chamber that was covered by a large mound of earth and that they were used as a tomb around 5000 years ago. The tomb probably dates back to the Ice Age when the inhabitants of Liverpool were camped along the periphery of the Mersey and those who farmed further inland. The tomb would have been a place for the inhabitants to lay to rest the dead and exalt and pay homage to those of their ancestors who had passed. There are carved markings or circles on the remaining stones of the type used by the Celts in Anglesey the various tribes that occupied Anglesey erected similar stone burial chambers, standing stones, and hill forts, many of which survived the ages in good condition and can still be visited today. At the junction of Calderstones Road and Menlove Avenue there is a circular stone wall and this is probably within metres of the original tomb. The stones have been variously known as the dojer, rojer or Caldway stones and the mound were they were originally located was disturbed several times over the years but was destroyed in 1833. We know this because of a letter that was found quoting a farmhand who stated that "when the stones were dug down to, they looked as if there had been a little hut or cellar below" . He also recalled that there was a cartload or two of burnt bones on the site. During the mid and later 19th century certain academics had declared the Calderstones to have been part of a druidical circle. 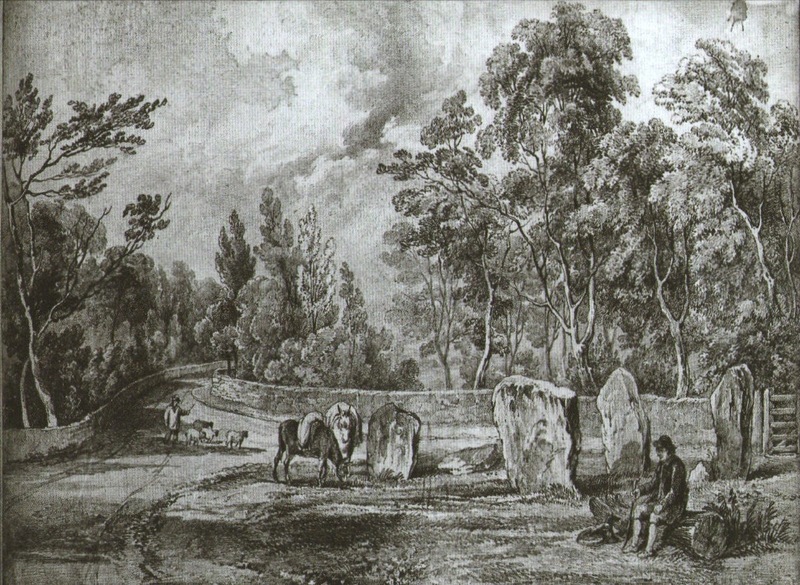 In the closing years of the century Professor Herdman returned to the earlier evidence and concluded that the stones were once part of a ruined dolmen or megalithic tomb which had been mistakenly taken for a circle due to the false impression held that all druidical remains should be so arranged. The six surviving stones are of local sandstone and their sizes range from approximately eight by three feet to three and a half by two and a half feet. The markings which had been studied the previous century by Simpson were again analysed and latex moulds were made of the stones and carvings, which both enabled a precise record to be made and also highlight other worn carvings which were not previously visible. The carvings were placed into six categories; spirals, concentric circles, arcs, cup marks, cup and ring marks and footprints. There is also evidence of post-medieval and modern graffiti. Several of the carvings are similar to examples found in Anglesey and the late-neolithic burial site of Newgrange in the Boyne Valley. The stones were relocated by Joseph Need Walker during his ownership, becoming a gateway feature to the eponymous estate. The stones are now housed in the Harthill Greenhouses in Calderstones Park having been moved from their previous location in an enclosure just outside the park gates in 1954 to protect them from further weathering. Originally part of the 1,583-acre (6.41 km2) expanse of the Manor of Allerton, around 1726 the area now known as Calderstones Park was sold by its owners to settle family debts. Eventually, the Liverpool merchant Thomas Martin became owner. He added to the estate before selling the area to Joseph Need Walker, a lead shot manufacturer with business interests in Liverpool. Walker acquired the estate in 1825 when the principal building was known as "The Old House". By 1828 this old farmhouse had been swept aside to make way for the mansion, Calderstones House. In 1875 the estate was sold to Charles MacIver for £52,000. A Liverpool shipping magnate, he had joined Samuel Cunard in establishing the British and North American Royal Steam Packet Company - later and better known as Cunard Line. Charles MacIver retired in 1874 and his younger sons, Henry and Charles, took the reins. In 1902 the MacIvers sold Calderstones for the sum of £43,000, to Liverpool Corporation. The Reader Organisation has announced that they have signed a lease with Liverpool City Council for Calderstones Mansion House giving them residency for 125 years. The park now hosts numerous events throughout the year, follow the links below for more information.